This may be the most misunderstood and misused grammar and punctuation rule in the English language. The focus of this post is on using commas to set off sentence “chunks”, as opposed to other uses like lists and dates and titles. 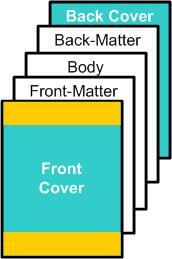 What are Front-Matter and Back-Matter? For those of you who are new to book writing, this is an important question. Here are some basics. Most books may be viewed as having three major internal components (not counting the front and back covers): the front-matter, the body, and the back-matter. The body is the content of your book (division, chapters, sections and so on). It’s what you’re writing about. A word that connects one phrase or clause to another is called a conjunction (literally join). Common examples are and & or. When an adverb is used this way, it’s called a conjunctive adverb. Conjunctive adverbs, which we’ll call simply “clause links”, may show, for example, cause and effect, sequence, contrast, or comparison. Here’s a partial list of common clause links: also, besides, consequently, conversely, finally, furthermore, hence, however, in fact, instead, likewise, meanwhile, moreover, nevertheless, on the other hand, otherwise, similarly, subsequently, then, therefore, though, thus, and yet. Case 1—Two Main Clauses: Clause links that join two main clauses, as in the graphic above, require a semicolon before the clause link and a comma after. Example: He wanted to ride his bike; however, it just continued to rain. Case 2a—When a clause link starts a sentence, it’s followed by a comma. Example: He wanted to ride his bike. However, it just continued to rain. Case 2b—When a clause link is in the middle of a sentence, thereby interrupting it, there should be a comma before and after the clause link. Example: No matter how hard it rained, however, he continued to ride his bike. 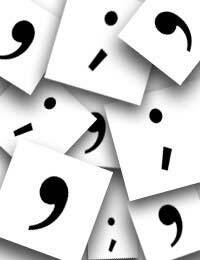 Case 2c—When a clause link ends a sentence, it’s preceded by a comma. Example: He thought it was too rainy to walk. He did ride his bike, however. The problem is that the person writing it was speaking it in his or her head, pausing in just the right places, but never inserting the punctuation marks on paper that correspond to those pauses. 2) Many clause link words have several grammatical uses. For instance, however can serve as an adverb modifier (e.g., You can try however hard you want to, but you won’t change my mind.). Here, no punctuation is required, and none should be used. The above rules are mostly unbreakable, and writers should be careful when using these clause links. Here at AES, we read a lot of published books (both printed and electronic). And we find lots of errors. This is especially true for self-published works. The question is why? Here are some thoughts. First, the writer introduced the errors—that’s likely because the writer was more interested in telling the story (fiction or non-fiction). And second, the editor(s) didn’t catch the errors. Again, why? There are a number of possible answers. One might involve a large workload an editor is carrying, so he or she skims rather than proofreads. Another might be that different editors employ different sets of “rules”. Yet another reason might be that only one set of eyes actually checked the work. Stealing from the old adage that “two heads are better than one”, two sets of eyes are better than one. A very common mistake, which has been around for a long time, is the word that should follow the verb try. Example of incorrect usage: One should try and write better. The word try requires a preposition, not a conjunction. (A conjunction literally joins two equivalent or related words, phrases, clauses or sentences.) The sentence shown implies two actions: 1) One should try AND 2) One should write better. This is probably not the intent of the writer. The corrected sentence reads: One should try to write better. 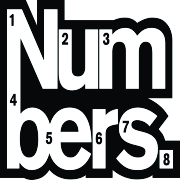 There are some interesting rules about how to write numbers in your text. You’d think that the easiest and clearest thing would be to write numbers as numerals (e.g., 3, 7, 12). Yet, there are so many places where it really doesn’t work, as you will see in this post. 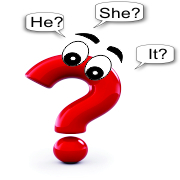 You’d think that nouns and pronouns would be easy because we use them every day. But proper word usage often trips people up.